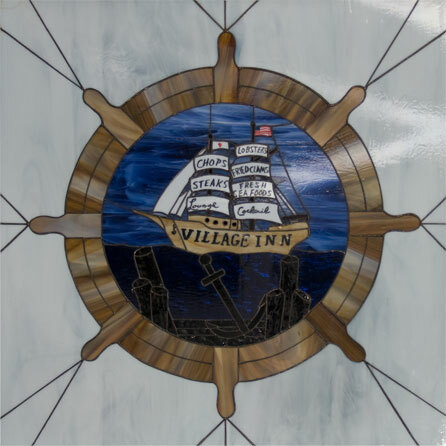 Climb on into the Crow’s Nest to dine in privacy behind The Village Inn’s stained glass porthole. Enjoy your party at a large dining room table centered below sturdy beams in this ultimate hideaway spot. The Crow’s Nest will seat 18 people comfortably and should be reserved for parties between 10 to 18 individuals.